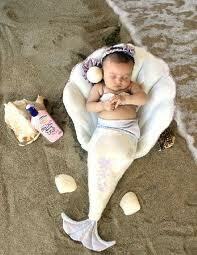 Do you believe in mermaids? A beautiful woman with a fish’s tail. 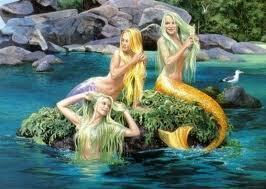 Sometimes they come out of the water and sit on the rocks combing their hair. Sweet-voiced and slippery, they are hard to catch. In Shakespeare’s time, the term was used to mean ‘courtesan’. So when Ben Jonson and Walter Raleigh met at the Mermaid Tavern, they were maybe in search of more than beer to quench their thirst! They are linked with the old French tradition of ‘poisson d’Avril’. Mermaids move between two worlds, sea and shore. April is the month of new beginnings (Latin aperire, to open): 1st April is around the old-style spring equinox, hence the countryman’s new year. Mermaids are April creatures, bridging two states of being. New year, fresh start, old order turned upside down. Or maybe it depends what time you read this. Catch me out if you can! More myths in ‘LifeWorks‘ by Jane Bailey Bain. Follow me on Twitter @janebaileybain. If you liked this post, use the buttons to Like / Share on Facebook, Stumbleupon and Twitter. This entry was posted in History, LifeWorks, Mythology and tagged April, April Fool's Day, Avril, baby mermaid, fish, Jane Bailey Bain, LifeWorks, mermaid, mermaids, poisson, poisson d'Avril, Shakespeare. Bookmark the permalink.